I chose to go all-out for Valentines this year...we're talking sudden and dramatic influx of PINK. I have a lot of white and neutral furnishings so they balance the unexpected infusion of pink quite nicely. Just don't ask my teenage sons what their opinion is! I needed something to spruce up my mantle...and remember...I was doing this entirely on the cheap, no trips to the store, just shopping my house and my stash for supplies. 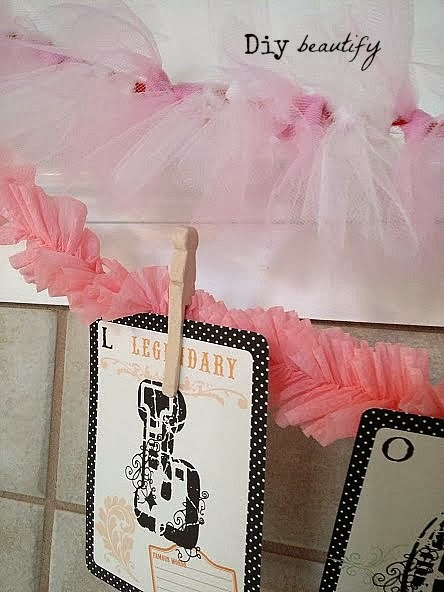 So I came up with two different swags to make...and, I'll be honest...you gotta have some "girly girl" in you to appreciate these :) The bottom swag is made using the technique found here and a roll of crepe paper (birthday streamers). It's the same technique I used on my ruffled crepe paper Christmas trees. 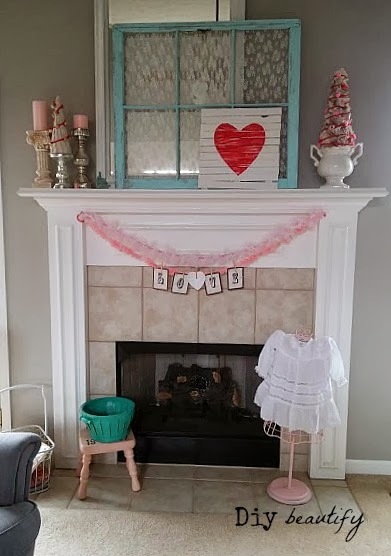 I love the ruffles stretched across my mantle! 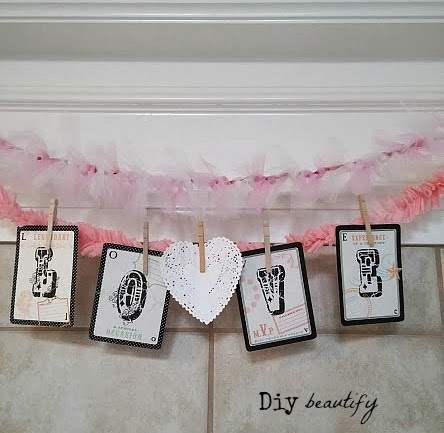 Finally, I found some monogram cards in my stash...pulled out the letters to spell "LOVE" and hung them using old fashioned clothespins with a heart-shaped doily in the middle. Do you think the guys in your family could live with such a girly vignette?? 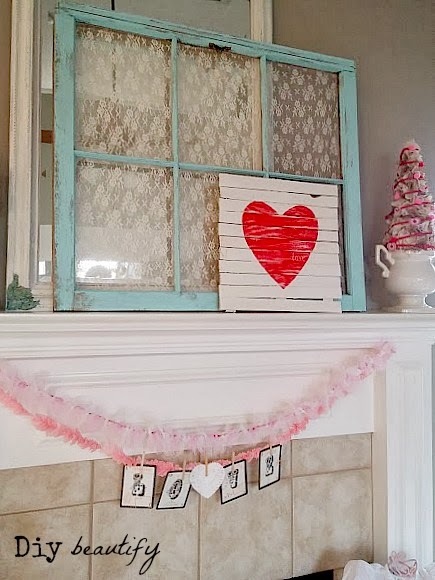 Did you miss the tutorial for the mini pallet I made using wood shims (with the big red heart painted on it)? You can find it right here. I'll also be sharing the super easy garlands for my burlap and drop cloth trees very soon! 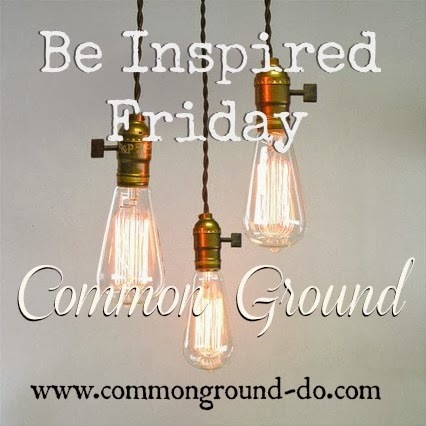 Thanks friends, for taking time to stop in :) I sincerely appreciate each and every one of you! Cindy, is that lace behind the window. How did you do that I missed it if you posted it. Yes, it's an old lace curtain that I wasn't using. I cut a portion of it and 'stapled gunned' it to the inside of the window frame. I haven't posted about it so you didn't miss it :) Thanks for noticing!! Have a sweet day! I've got some girly-girl in me, so I love it. My boys? Probably not so much!